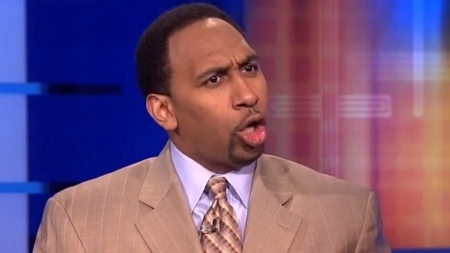 Stephen A. Smith is polarizing. Whether he’s on First Take or ESPN Radio in New York, he always garners a reaction. So imagine him on another national platform like SiriusXM radio. It’s about to happen. The New York Daily News reports that Smith will be joining the “Mad Dog Radio” channel and host his own show in the 1-3 p.m. ET timeslot leading into Chris Russo’s show. So imagine Smith and Russo back-to-back and belly-to-belly and the bombast that will be on the channel every afternoon. Of course, Smith is coming off his crazy comments on First Take and subsequent Twitter “explanation” last week regarding domestic violence. The SiriusXM will give Smith a new soapbox to spout his opinions without FCC restrictions. At the moment, it appears the events are unrelated. Another factor in Smith’s hiring was Russo’s lament earlier year that he could not find any qualified African American hosts for his channel. Apparently his search has ended with Smith. Smith’s SiriusXM show would be on opposite the same timeslot when his ESPN Radio New York program would air. Currently Smith co-hosts a show with Ryan Ruocco right after his First Take gig on ESPN2. It will be interesting to hear Smith without a censor, but it can also be a curse knowing that he can be a loose cannon at times.